In today’s content-driven world, a high-performance Content Delivery Network (CDN) is critical to business success. According to the Aberdeen Group, a one-second delay in webpage load time results in a 7% loss in conversions, 11% fewer page views and a 16% decrease in customer satisfaction. End-users and content providers around the globe have come to expect fast and reliable delivery of digital media – wherever they are watching video, playing games, shopping online or sharing content. The key to delivering this level of user experience is having a CDN that is flexible enough to meet any usage level and robust and redundant enough to remain operational under any network conditions. Webair, one of the leading providers of Cloud Hosting and managed solutions, has successfully achieved this level of heightened end-user experience, recently announcing the enhancement of its world-class CDN. The company has significantly optimized its advanced CDN offering since its initial launch in 2008; the most recent enhancement encompasses expanded infrastructure, developments in backend technologies and faster integration capabilities. 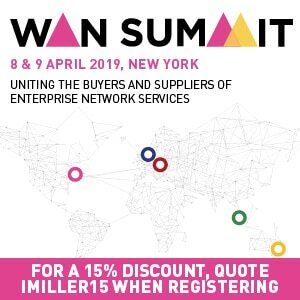 Webair has streamlined customers’ capability to deliver content and accelerate applications to ensure their end-users’ satisfaction, while attaining optimal network scalability to accommodate future growth. This flexibility is critical, with Cisco®’s Visual Networking Index (VNI) 2012-2017 predicting 51 percent of all Internet traffic to cross CDNs by 2017. Webair’s expanded infrastructure includes increasing network capacity by placing global cloud servers in its data centers, which are strategically located throughout the world including Amsterdam, Los Angeles, Montreal, and its flagship facility in Long Island, NY. This enables Webair to instantly replicate customer’s content on servers closest to their end-users, helping to mitigate jitter, deliver high-quality streaming and ensure data is available to global broadband and mobile audiences within a maximum 300ms radius. Over the years, Webair has also made significant investments in its backend technologies, yielding reduced hops, lowering latency, mitigating cache misses and protecting customers against advanced DDoS attacks. Furthermore, with the company’s unparalleled 24x7x365 expert support, 100% network uptime SLA, and global, multi-homed and interconnected network, Webair’s CDN service is fully redundant and capable of handling massive traffic spikes of up to 300,000 concurrent users. On top of optimizing the quality and speed of content delivery, Webair’s enhancements have reduced CDN integration times for customers. Utilizing Webair’s EZPanel tool, customers are now able to add, administer and analyze the performance of their CDN, while gaining a single pane of glass view of their entire CDN environment. Furthermore, with advanced analytics and reporting features, EZPanel enables businesses to better understand how their CDN is performing. Webair offers customers all of the benefits of a scalable, redundant global CDN and an expansive ecosystem of proven products and services, providing the complete hosting solution via a single provider. CDN is a fully managed solution that can be directly integrated into customers’ Cloud Services and Load Balanced Clusters. 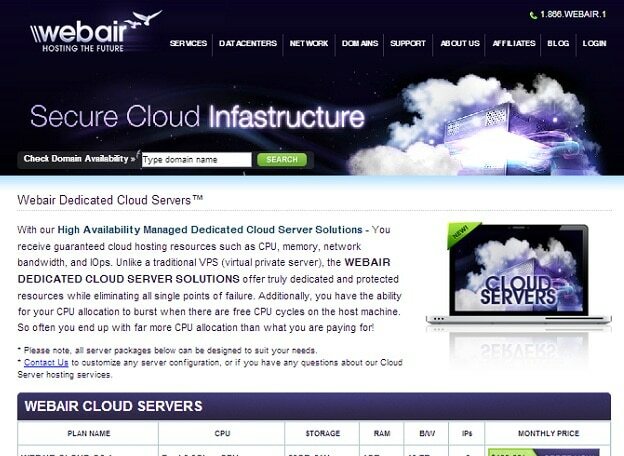 To learn more about Webair’s CDN, visit www.webair.com/webhosting-cdn.